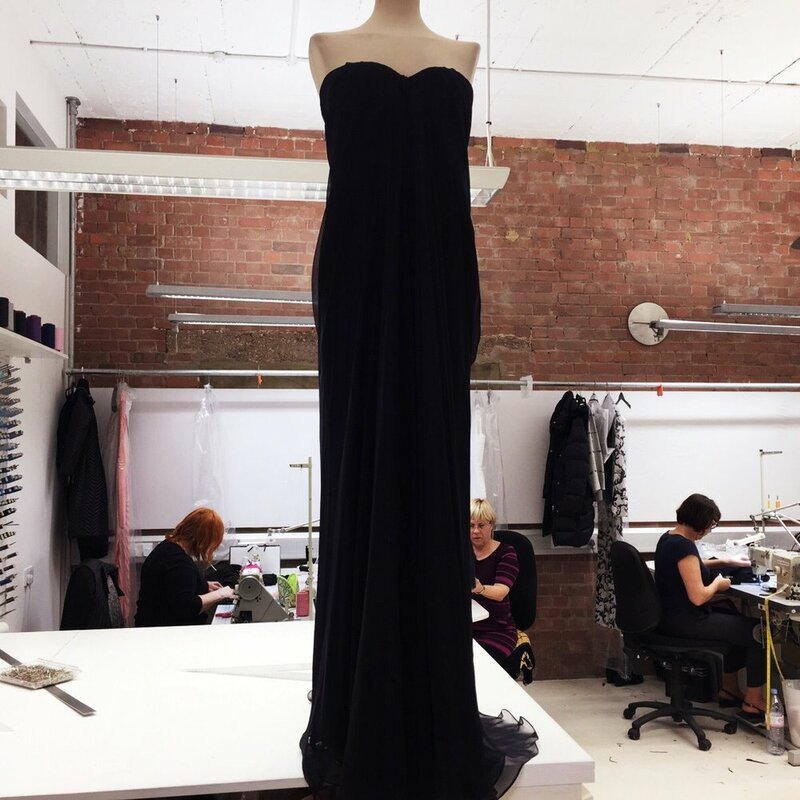 The couture evening gown alterations we've been working on this year and how we give our clients the perfect fit. Get ready for the festive season in style. 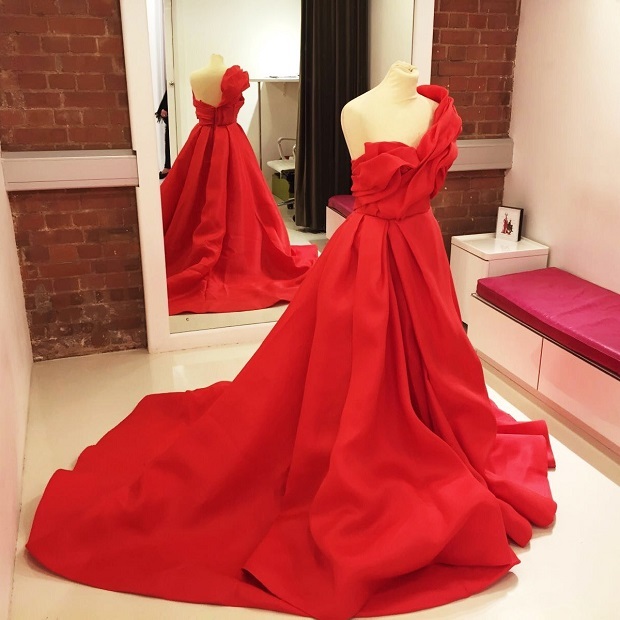 At London Fitting Rooms we're known for our couture alterations. A big part of this is evening gown alterations. These involve some of our most intricate, exciting and delicate work. Our changes also remain invisible. 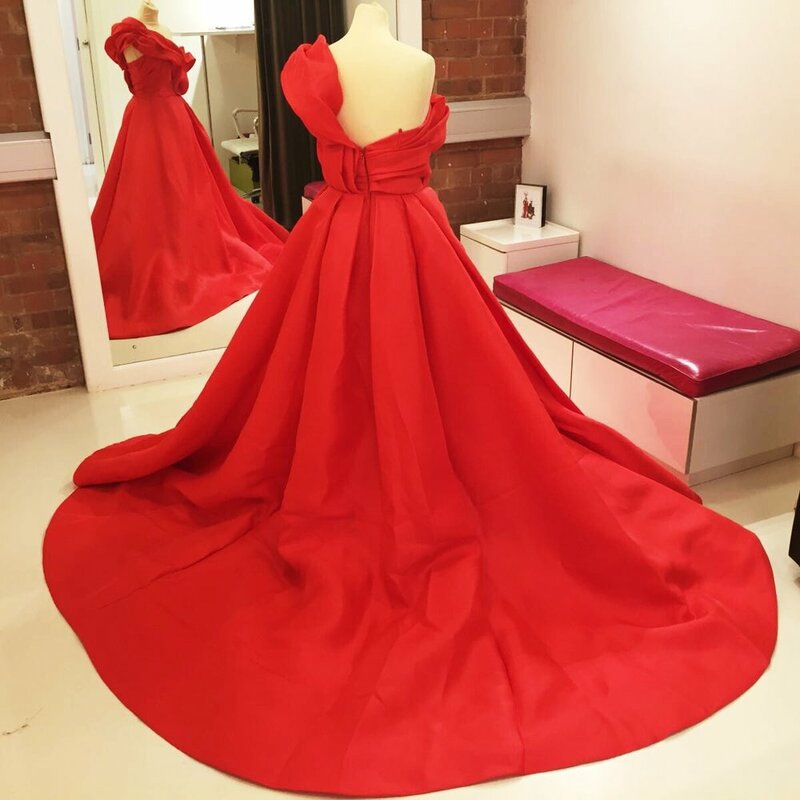 We get to work with stunning evening gowns season after season and these are some of the best. This is how we give our clients the best fit. We began the year with this dark blue Alexander McQueen gown and it's a modern classic. We see the waterfall dress year in and year out. 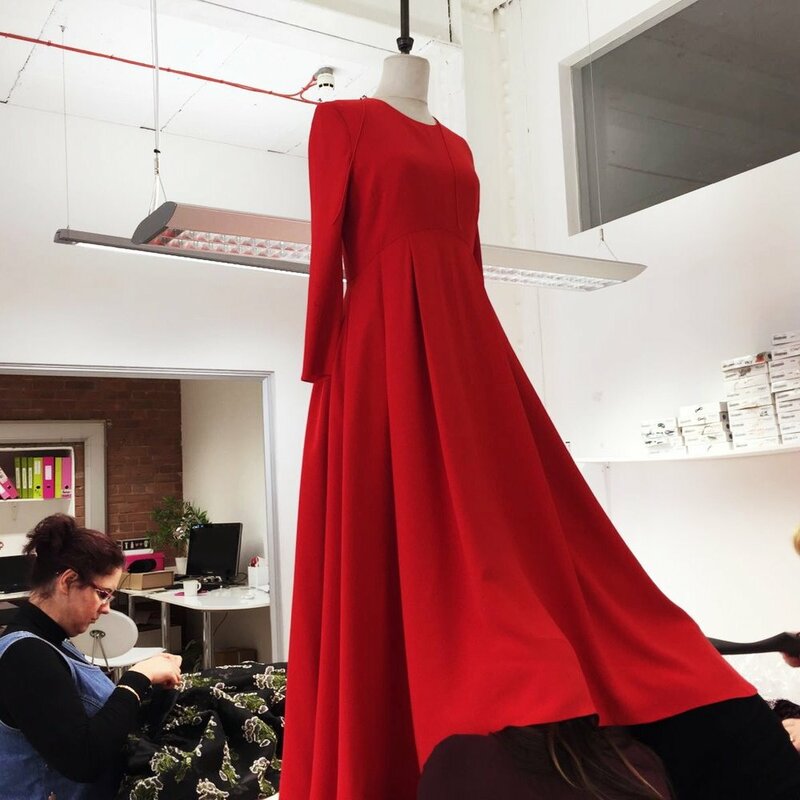 Two heads are better than one when checking the lining on this Dior dress. Now our lady in red can look her best. This lovely Alberta Ferretti dress is being checked carefully before being altered. 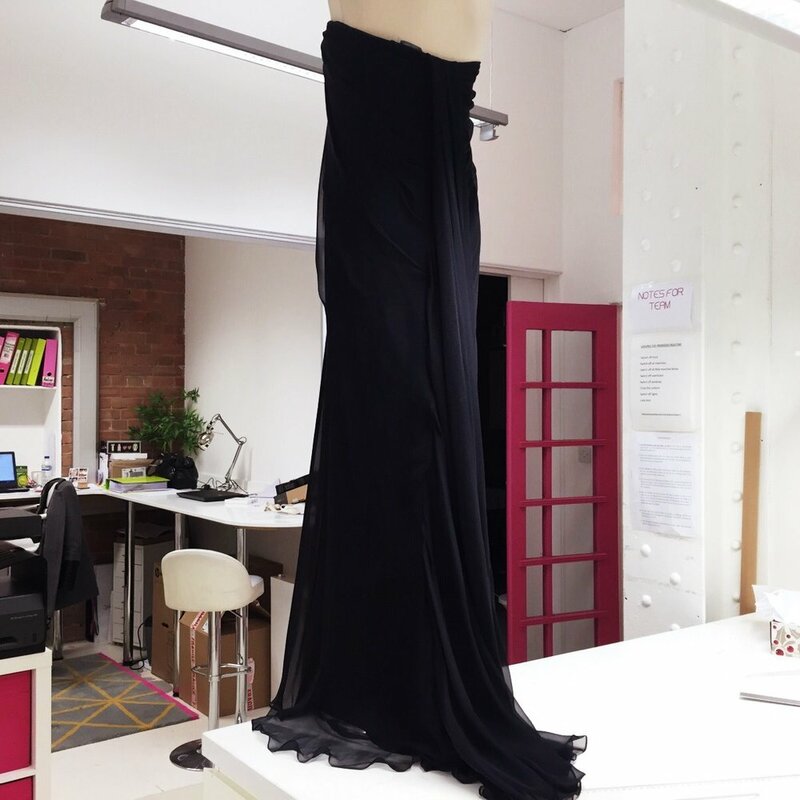 We shortened the dress and the lining from the waist, added bust side panels using black organza fabric and lifted the shoulders. This gorgeous Rachel Gilbert gown was in our studio to have the straps shortened from the back and the length from the waist. It certainly makes an impact. This Zuhair Murad gown that we lifted the shoulders and shortened. We also loved the floral embellishments that are reflected in the silk skirt. 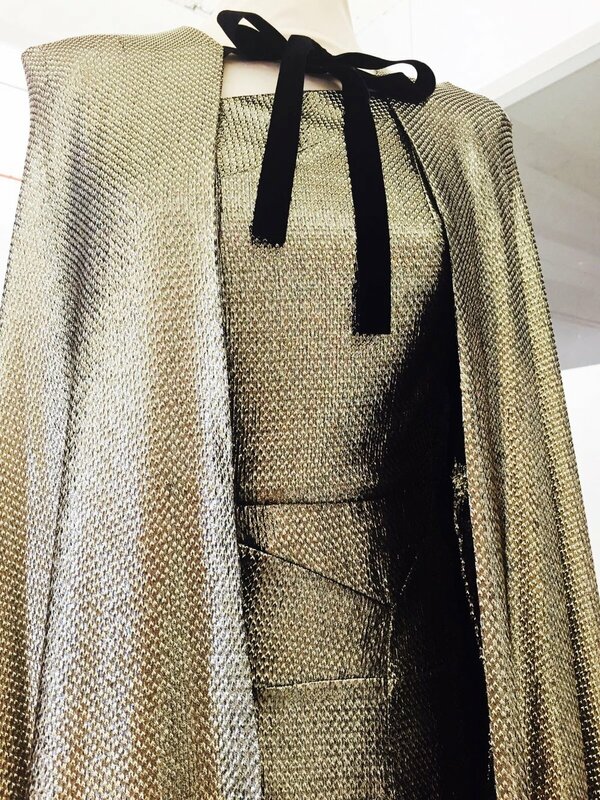 This futuristic Roland Mouret metallic dress transported us to a galaxy far far away. The signature Mouret draping and cape make for elegant clairvoyance. Speaking of intergalactic fashion, this Alexander McQueen beaded gown came into our studio this July. The ideal way to make a statement. 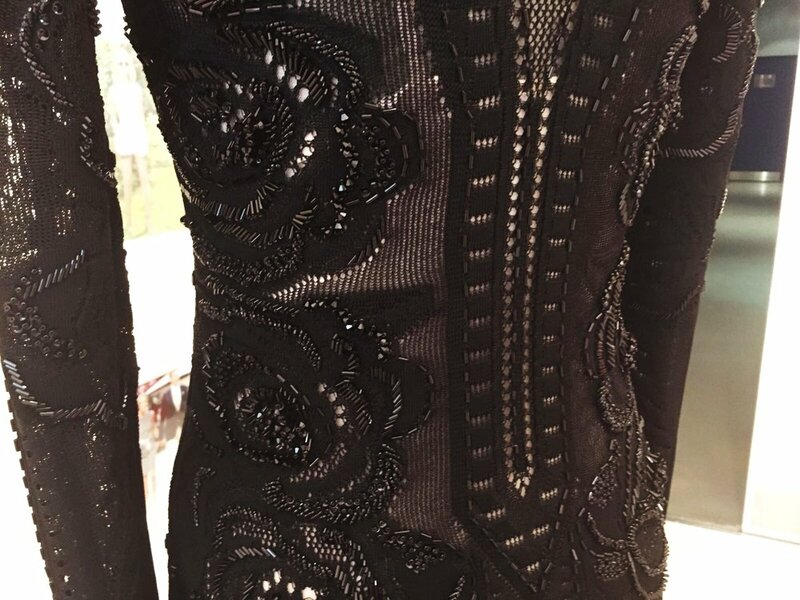 We lifted the shoulders and shortened the hem of this delicate knitted and beaded Zuhair Murad dress. Black doesn't mean boring. 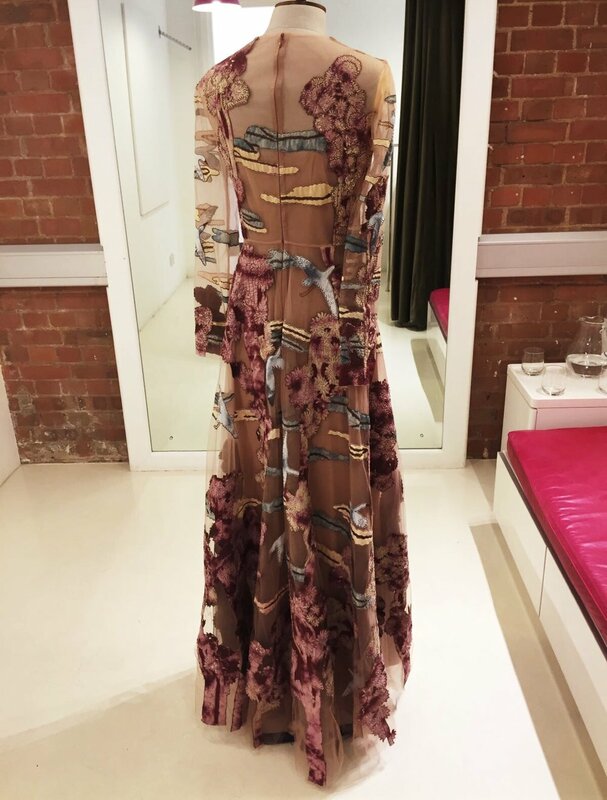 In September we altered this beautiful Valentino dress that quickly became a favourite amongst our followers. 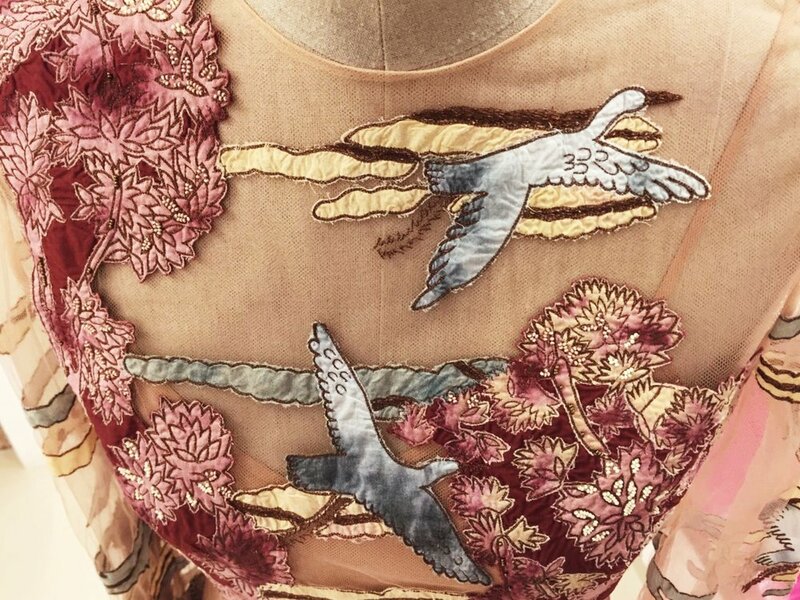 The sheer fabric and pattern is magical. We added a lace panel to the front of this Berta Bridal gown from The Wedding Club. Can you spot the difference? We worked on the hem of this Jovani dress which is an amazing fully-sequinned gown. It's perfect for the upcoming party season. Contact London Fitting Rooms and sign up to our mailing list for more fashion news. Short bridal dresses have been becoming more and more popular. Here's the wedding alterations we've been doing in our studio. In September we ran a competition offering clothing alterations to one of our lovely social media followers. Here's the story of how wedding dress alterations won the day. Our studio is filling up with couture bridesmaid dress alterations. Get the perfect inspiration with these bridesmaid dress ideas.